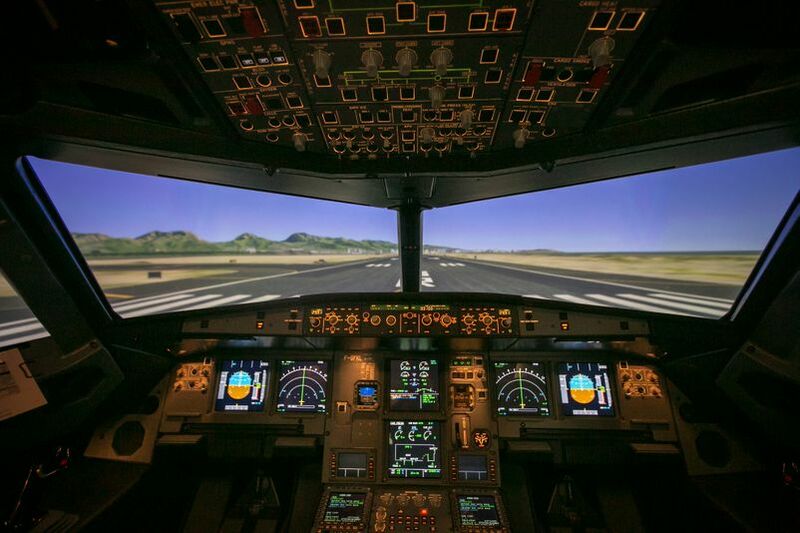 HONOLULU – Hawaiian Airlines, eyeing another growth period on the horizon, this morning unveiled a new Airbus A321neo Full Flight Simulator (FFS) at its corporate headquarters flight training facility. 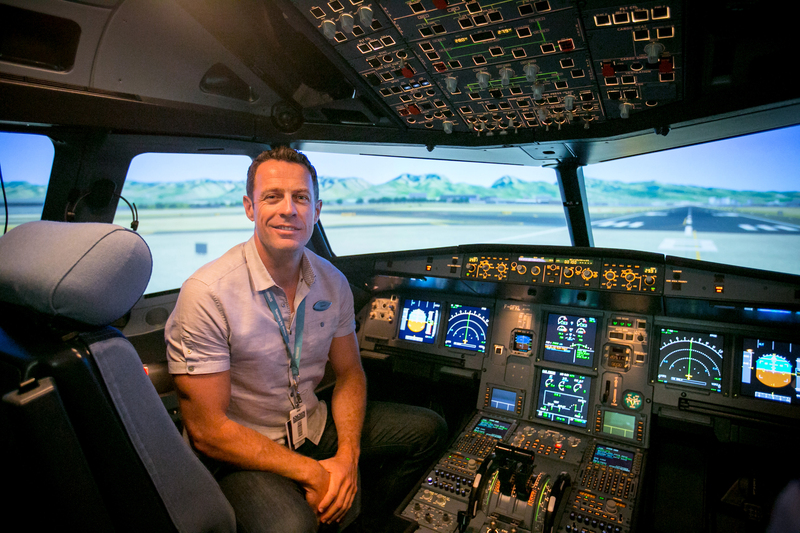 The simulator will allow Hawaiian to continue its Advanced Qualification Program for pilots using industry-leading technology as the airline prepares to introduce 18 A321neo aircraft to its fleet starting early next year. “We are excited to invest in our in-house training facility by providing our pilots convenient access to another state-of-the-art simulator, which will also lead to significant cost savings,” said Jon Snook, executive vice president and chief operating officer at Hawaiian Airlines. 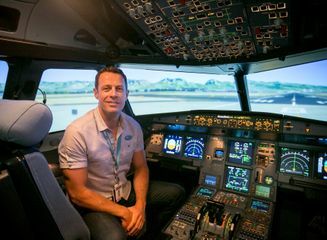 Hawaiian, Hawaii’s largest and longest-serving carrier, employs more than 600 pilots and anticipates hiring nearly 200 new pilots with the addition of the A321neo fleet. The airline will take delivery of 18 new A321neo aircraft between the fourth quarter of 2017 and 2020, with the first flights scheduled to begin in January. Training of pilots and instructors associated with the multimillion-dollar FFS starts next month. The long-range, single-aisle A321neos will complement Hawaiian’s fleet of wide-body, twin-aisle aircraft used for flying between Hawai‘i and the U.S. West Coast. Considered the most fuel-efficient aircraft of its type, the A321neo will seat 189 passengers in a two-class configuration (First and Coach) and have an operating range of 3,650 nautical miles. 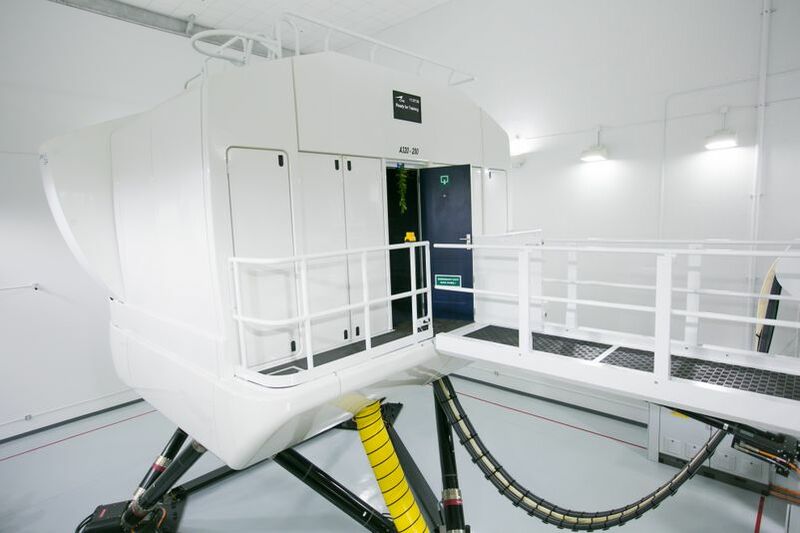 In 2013, Hawaiian became the first Hawai‘i-based carrier to have an on-site FFS when it welcomed its A330 simulator. The A330 wide-body aircraft has enabled Hawaiian to aggressively expand its domestic and international networks in recent years. Today, the airline offers service between Honolulu and 11 U.S gateway cities, as well as 10 international destinations throughout the Asia-Pacific region. Prior to housing its own FFS, Hawaiian utilized third-party facilities in Florida at significant expense to the company. The FFS features 3D realistic detailing of different major airport scenes and environments including clouds, fog, storms, rain, snow, thunder, buildings roads, bridges, trees and cityscapes that are indistinguishable from the real world. 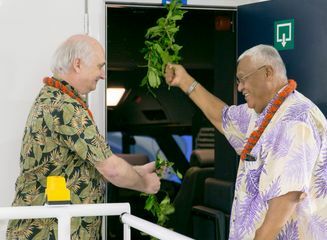 Hawaiian Airlines A321neo Fleet Captain Lionel Azelart during the blessing ceremony for the new simulator at the company's headquarters. 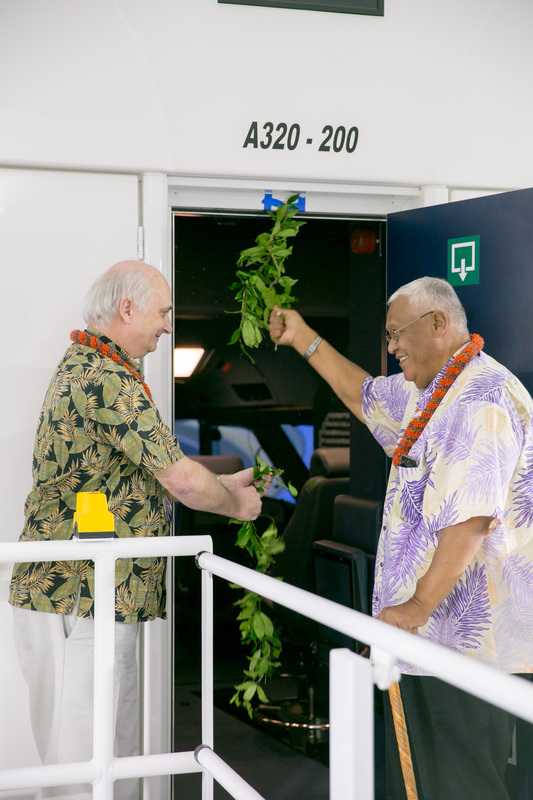 Hawaiian Airlines unveiled its new A321neo simulator with a traditional Hawaiian blessing. 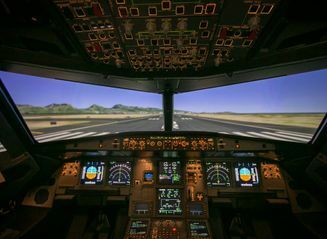 The view from inside the A321neo simulator at Hawaiian Airlines headquarters. 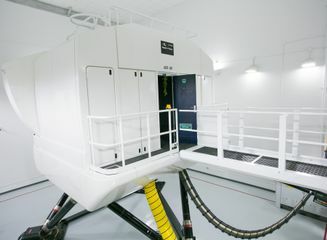 Hawaiian Airlines new A321neo simulator at the company's Honolulu headquarters.